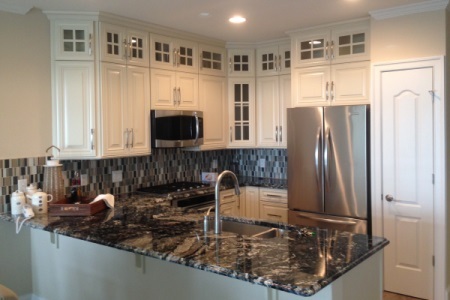 Diamond State Cabinetry uses state of the art computer technology to create a 3-D rendering of your proposed kitchen. Different colors and styles can be applied with the click of a mouse, so you can preview several designs from the comfort of our showroom. 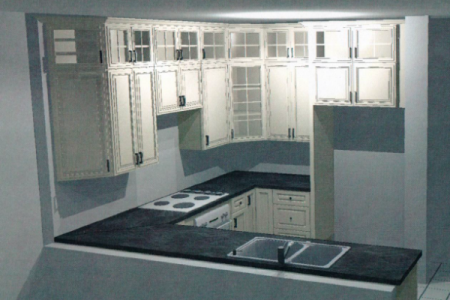 The example below shows a 3-D model of a proposed kitchen (left), and the completed kitchen (right).